Weekly Worship is a foundation for faith. Being part of Worship planning results in an even more meaningful Worship experience. Want to get involved? Talk to Pastor Dan. Being baptized is the spiritual equivalent of being raised from the dead! If you or someone you love is not baptized, talk to Pastor Dan. Learning about the Bible and its teachings is a life-long adventure that begins with Baptism. Confirmation Class is a formal way to cover all of the basics. If you want to discuss Confirmation, talk to Pastor Dan. Sunday Worship would not be the same without music to inspire our thoughts and emotions. If you are interested in expressing your musical gifts in the context of worship, talk to John Slaight. We love having children join us in Worship. We encourage it. But if your family would spiritually benefit from having your K - 3rd Grade children in an age-specific setting during the "sitting still" parts of Worship, our Children's Church volunteers will teach them to Worship Jesus too. Do you want to volunteer too? Talk to Erin Roock or Leigh Ann Bruder. HCLC runs a PreK3 + PreK4 school that enjoys the best reputation in the area. 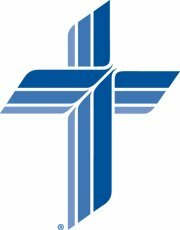 Our Christian Education ministry helps keep our Church and School in close communication. If you want more information, talk to Katie Zuzzio. Since the Bible is God's Word in human language, it stands to reason that we might benefit from studying it. Think about it, when you study the Bible, you are pausing to more fully comprehend the nature of God and how he interacts with you and the world. If you could make a list of great things to do in your lifetime, Bible Study should be on it. We have many resources and opportunities to study. Some are self-guided, others are during set meeting times. If you want to know more, talk to Pastor Dan. Either that or just show up on Wednesday evening at 7pm. Throughout the Bible, we can find a lot of examples and models for prayer. In brief, prayer is how we respond to the communication pipeline that God establishes with us. We can talk with God about anything, including our desires, fears, and needs. If you want help praying, talk to Pastor Dan. 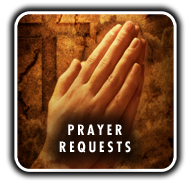 If you would like our team of praying Christians to talk to God about your needs, just submit a Prayer Request and know we will be praying. Your requests can be anonymous if you desire. We get it. Sometimes VBS is a fantastic "convenience" for parents who just look forward to a few hours of kid-free time. That's quite alright. But there is no better "parent-free" time for kids than the fun and excitement of Vacation Bible School. Why? Because every day of VBS is a day spent learning about Jesus and building faith in Him. Watch this spot for updated information as it becomes available. HCLC has a wonderful young-people's music ministry called SoulShine. Led by one of our Praise Team singers Danielle Stevens, SoulShine keeps kids active in worship by giving them the opportunity to contribute their musical gifts. Space in SoulShine is sometimes limited, so be sure to contact Danielle if your son or daughter is interested. It isn't always possible to get out of the house at the times when things are scheduled. Our busy lives sometimes leave us over-committed or just exhausted. But we can always find a few minutes for devotions or Bible Study, especially if there are resources available on the internet. Our Web Forum is where we maintain a broad variety of devotions, Bible studies, and articles so that you can keep active in your interaction with God's Word. There is plenty to see as a "guest" of the Forum, but there's even more once you "register". Click here to see a video which guides you through the registration process.